We’re a long way from achieving equity, but here are some proactive steps both companies and women can take. One hundred and sixty-eight years. That’s how long the World Economic Forum estimates it will take to close the gender gap in North America, according to its analysis of women’s economic participation and opportunities in the workforce. That’s a long, long time, and women don’t want to wait, especially as #MeToo momentum has led to increased discussion and awareness of gender discrimination and hostile workplaces. Yet familiar barriers to progress remain. Corporations continue to hire fewer women than men for entry level jobs, even though women earn about 60 percent of all the undergraduate degrees in the United States, and abundant research has shown that women steadily disappear from industry ranks as men advance into better paying jobs. In the highest echelons, the already small number of women leading the nation’s largest companies just got even smaller — it now stands at 24, which is a 25 percent drop from a year ago, when the number was 32. And women’s paychecks continue to reflect their unequal status: Women earn 83 cents for every dollar a man does doing the same job, according to Pew Research Center data from 2016. That’s up from 19 cents from 1980, which is progress of the plodding sort. RELATED: Find out which companies made the list of the Top 100 Women-Led Businesses in Massachusetts. If women are going to get to parity in this lifetime, changes need to begin now. But they can’t do it alone. Here are some proactive steps that companies can take — plus tips for women navigating an unequal playing field. Hiring and salary negotiations are not always fair, and that means women need to articulate their value to an employer. That may mean itemizing accomplishments, and touting them, or going into a pay negotiation understanding what others in the field earn. 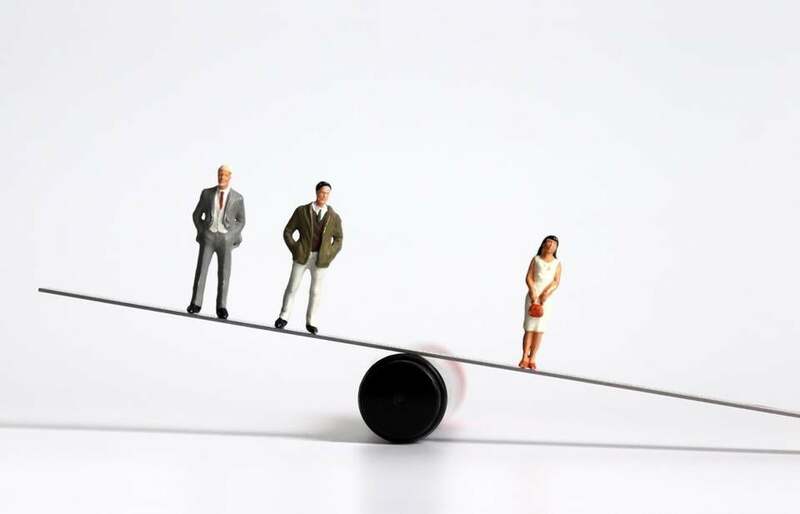 Women should know that employers are prohibited by law in Massachusetts from asking job candidates about their salary history until after they make an offer. Companies need to take more steps to help women understand the path to advancement, and offer measurable steps for promotion and audit jobs for pay equity and ways to mitigate bias, says Rachel Murray, co-CEO of She Geeks Out, a group that provides networking opportunities to women in tech. But until they do, a strong and consistent support network is key, she says. Female networks can help women advocate for themselves, ask questions, and seek out advice. Women also need to get past the taboo that it’s not OK to talk about their salaries. And they should know when it may be time to look for a new job. Women occupy just 1 in 5 boardroom seats at Standard & Poor’s companies, which shows just how far there is to go. In Europe, the problem was so intractable that countries across the continent have mandated quotas in an effort to improve diversity at the top. Closer to home, after years of uneven progress trying to diversify its workforce, the Boston Consulting Group decided to double down its focus on making change when CEO Rich Lesser came on board in 2013. That’s when the company put hiring and advancement goals in place, tracked and analyzed them monthly, and then gave them teeth by linking them to managers’ performance reviews. It made a difference, says Frances Taplett, the company’s global people senior director. The Boston Consulting Group currently advances and retains women at the same rate as men, she says, and women now constitute about 35 percent of its board of directors. Glassdoor, a website that allows employees and former employees to anonymously review a company and its management, ranked the Boston Consulting Group No. 3 on this year’s Best Places to Work list. Younger men have been instrumental allies in creating gender equality at the company, Taplett says. According to its own research, men younger than 40 rated parental leave policies and on-site child care as higher priorities than older men did, likely because they are part of dual income households and contributing to child-care responsibilities. 4. Give women a voice. And don’t interrupt them. In a recent analysis of 155,000 corporate earnings calls over the last 19 years, men dominated the conversations, speaking 92 percent of the time, according to Bloomberg. When women spoke, the analysis found that it was largely to offer introductory remarks. So executives, listen up: Give women a voice. And don’t interrupt them. Manterruptions are unconscious bias, exposed. “If leadership does not set the tone, it will be nearly impossible to get the organization to follow,” says Jennifer Stanley, a partner at McKinsey & Co. “We need to train men about unconscious bias and remove it from hiring, reviews, and promotions. Because it does exist, and part of the problem is how it seeps into how decisions are made.” Communication experts suggest that women handle chronic interruption by addressing it directly and calmly. “There are a few more essential points I need to make. Can you delay a moment while I do that?” might be one response, or “I know I will appreciate your feedback, but can you hold off until I’m done?” is another option. Women can also gather their own data to see who’s dominating workplace conversation. The organization GenderAvenger has created an app that lets the user keep a rough tally of who is doing all of the talking at a meeting. To combat unconscious bias in hiring and snap judgements, companies can take advantage of software like GapJumpers, which can mask a job seeker’s gender, ethnicity, or age when fielding resumes. But it doesn’t even have to be that complicated. Human resources officials could also ask applicants not to include that information, or simply buy Sharpies and mask it when considering applications. Employers will obviously meet a job candidate they’re interested in at some point in the process, but blind hiring can help women get in the door. “It will move the needle,” says Swartz, of reacHIRE. Megan Woolhouse is a former Globe reporter and a writer living in Boston. Send comments to magazine@globe.com. Get the best of the magazine’s award-winning stories and features right in your e-mail inbox every Sunday. Sign up here. This story has been updated to correct the spelling of Addie Swartz’s first name.